Your Saturday will never be the same once you connect with the SATURDAY TAG TEAM! Chilly Bill starts your day with a mixture of the hottest hits from the 2000’s and continues until Vernon J is tagged at 2pm with the smoothest R&B you have ever heard…Boom Boom is next with Southern Soul, and Zydeco…then Saturday Night House Party begins with Paul Davis. 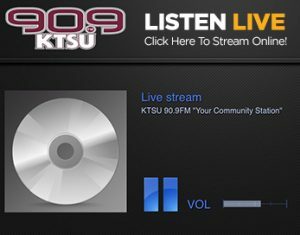 The best soundtrack of your life happens EVERY SATURDAY on KTSU!